Zlatan Ibrahimovic has named the two players around whom Manchester United must build their future. The Swede spent one-and-a-half seasons with the Red Devils, during which he won three major titles and proved his worth in the Premier League. 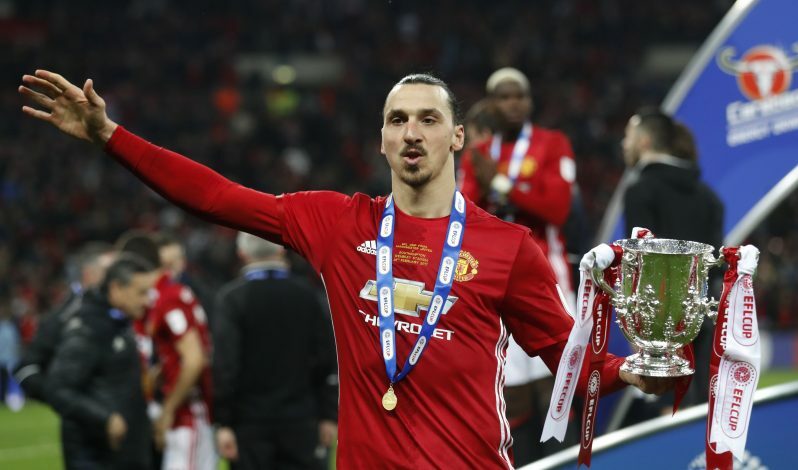 Ibrahimovic then departed from Manchester to secure a switch to LA Galaxy, and the decorated striker has since been lighting the MLS up with his world-class ability of finding the back of the net. Now, more than a year since his move to the United States, Zlatan has opened up about his former club once again. In an exclusive interview with the Daily Mirror, the 37-year-old has revealed that he believes Manchester United can get back to the top by simply building their team around two players: Paul Pogba and Marcus Rashford. Zlatan opined: “I think Paul Pogba has the potential to be the best player in the world in his position. He is a good guy, he trains hard, he listens, he wants to become better, he wants to win. “He want to perform in every game. Things happening outside do not really bother him because when you are at that level, everyone will speak. Positive, negative, in between, everybody. The forward then spoke about his former strike partner, as he added: “Rashford is the future of Manchester United. In the beginning, I saw him more as an individual – now he is playing more for the collective.